If you're buying or selling a house, unit, land, farm, water or just about anything else, you can rest easy with us. We look out for you every step of the way and carry professional indemnity insurance cover. The breakdown of a relationship is a very stressful experience for all involved. We can inform you of your legal rights, advise you of the appropriate steps, and negotiate a settlement on your behalf. If necessary, we can pursue your interests in court. We can help you buy or sell a business, set up business structures such as a company or trust, transfer shares in privately held companies, amend trusts, enter into or assign a lease or licence, or draw up a contract, partnership or shareholders agreement - just to name a few. Counted amongst our ranks are accomplished business people in their own right, and their legal advice carries insights not readily available elsewhere. If someone owes you or your business money, or you're being sued yourself, we can advise you of your options, negotiate a settlement, or pursue your interests in court. An action could arise from a debt, a breach of contract, a breach of consumer guarantees, or other legal disputes. Even a basic Will can avoid confusion and disputes when there is a death in the family, and a good Will ensures your wishes are met after your death. We also provide Enduring Powers of Attorney and Enduring Guardianships. For more complex circumstances or disputes regarding Wills and estates, our experienced solicitors are the right people to talk to. We can help you buy or sell a farm, including any water entitlements and water licences. We can arrange intergenerational farm transfers, farm leases, and share farming agreements. Our solicitors are very familiar with life on the land and have lived in the area their entire lives. Use the form below to contact us regarding your legal enquiry, or you can also give us a call. To help us best service your enquiry, we recommend that you first describe the issue you’re having before telling us what you want to achieve, while being as detailed as possible. Our general response time is one business day. 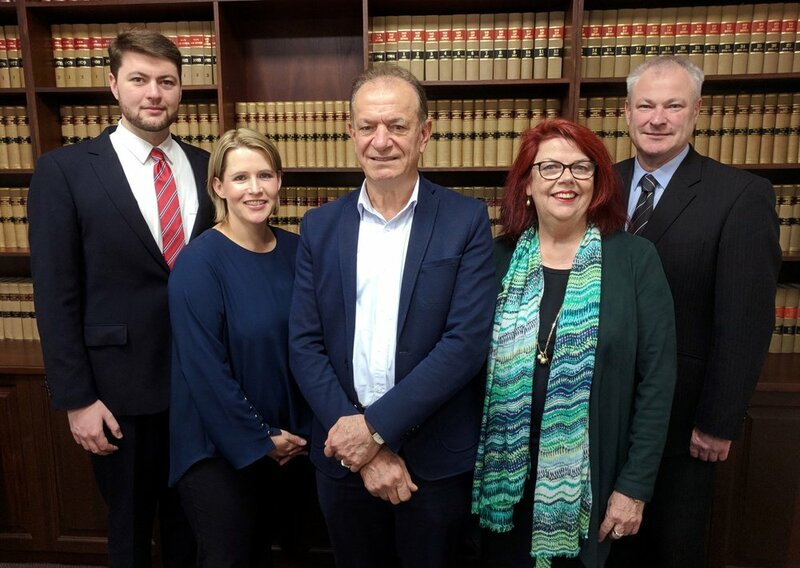 One of the oldest and largest law firms in Griffith, we pride ourselves on providing high quality, trustworthy and affordable legal services to Griffith and surrounding areas. Our solicitors are highly knowledgeable in their areas of practice, built on years of experience and higher qualifications. All of our solicitors are admitted to practice in New South Wales as well as other Jurisdictions. We have solicitors that speak English, Italian and Afrikaans. Olliffe & McRae, which merged with Noyce, Salmon and D'Aquino in 2007, was established in 1920. Del Gigante & Co was amalgamated in 2001. As two matters are rarely the same, and each can entail different costs, we are unable to provide a general memorandum of fees that we charge. However, we provide a comprehensive costs disclosure for most matters which describes the fees we charge and provides an estimate as to the overall cost.